JAKARTA (foresthints.news) - Proof has emerged that PT Persada Era Agro Kencana (PEAK) is continuing to clear forests to make way for new palm oil plantation despite the recent imposition of a new moratorium on palm oil expansion in areas with good forest cover, including in existing concessions, by President Joko Widodo (Sep 19). 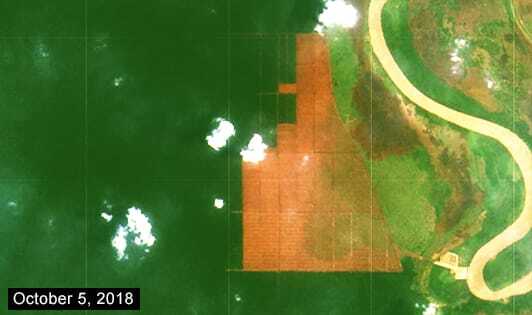 This palm oil concession, which was granted in December 2013, lies in Central Kalimantan’s Katingan regency, covering an area equivalent to nearly 13 thousand football fields. According to the IUCN, it forms part of the habitat of the critically-endangered Bornean orangutan. PEAK is a subsidiary of Mulia Sawit Agro Lestari (MSAL), a palm oil supplier to Nestlé, Unilever, PepsiCo, Mars, ADM, Bunge and others. This demonstrates how global palm oil supply chains still remain linked to the disappearance of Borneo's orangutan-inhabitat peat forests. 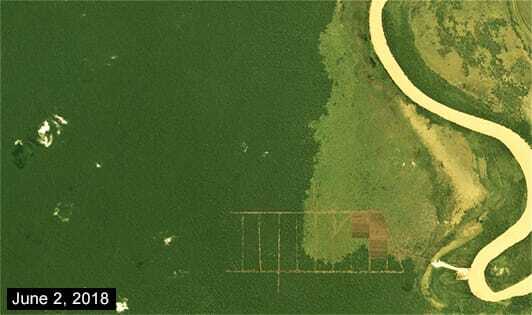 Last year’s land cover data from the Environment and Forestry Ministry shows that significant swathes of the peat forests still being cleared by PEAK consist of secondary swamp forests, as also confirmed by the latest time series-based satellite images. Given that the ministry also classifies the concession areas as part of a peat ecosystem, the ongoing construction of new canals by the company to drain peatlands clearly constitutes a peat violation. 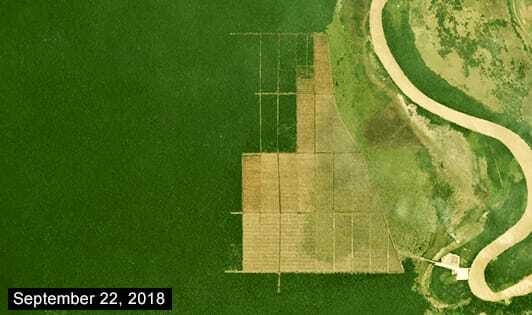 The following time series-based Planet Explorer and LandViewer images, prepared by the foresthints.news spatial team, confirm that PEAK has kept on with the development of peat forests even after the palm oil moratorium was signed by the President. 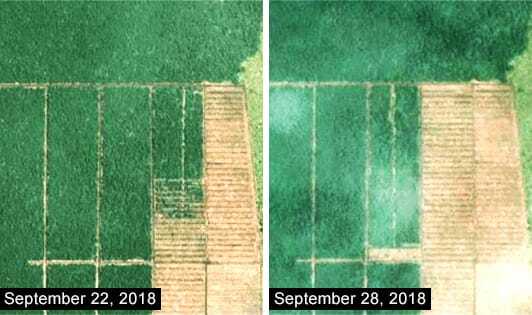 The satellite-based evidence above confirms that PEAK is not only committing peat violations, but also clearing peat forests with good forest cover, despite the legal basis for the palm oil expansion moratorium being in place. PEAK/MSAL's business-as-usual operations will certainly place it in the list of palm oil companies perpetrating peat violations, including those that are ignoring the palm oil moratorium by continuing to expand palm oil plantations in areas with good forest cover. Similar to the case of PEAK, the ministry's law enforcement team has imposed strict sanctions on several palm oil companies proven to be carrying out peat violations, including for violations taking place in Sumatran and Bornean orangutan-inhabited areas. Those palm oil companies that have been hit with sanctions by the ministry due to being engaged in peat violations have been found to be linked to global palm oil supply chains. 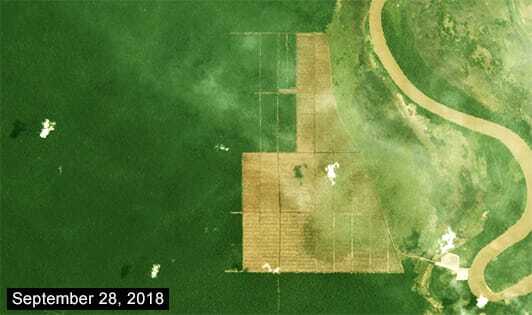 For example, as recently reported by foresthints.news (Oct 12), the ministry exposed how a global palm oil supplier, PT Pundi Lahan Khatulistiwa (PLK), continues to raze peat forests inhabited by Bornean orangutans in West Kalimantan's Kubu Raya regency.